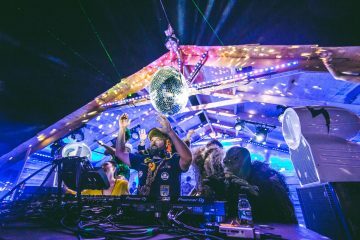 The news you’ve finally been waiting for is finally here, ravers. 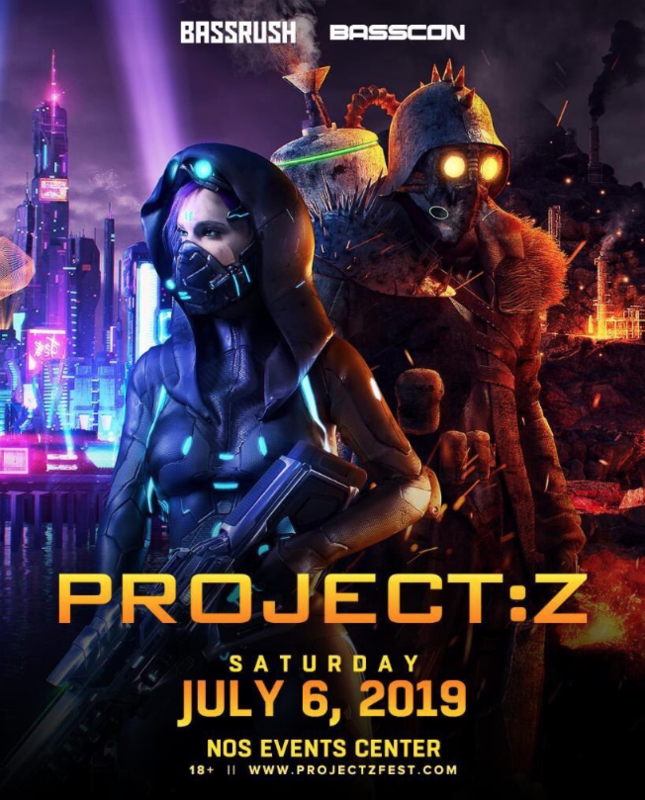 Project Z Fest 2019 returns this Summer. Merging two of Insomniac’s hardest hitting sub-promoters together will have the walls and ground shake tremendously once you put them under one venue. Considering the success of said project, it’s no surprise that the third iteration is upon us. Just like in 2017, Project Z Fest 2019 will hit the NOS Events Center and host Bassrush’s diverse Bass Music lineup in one building, and throw a Basscon wager in a neighboring one. 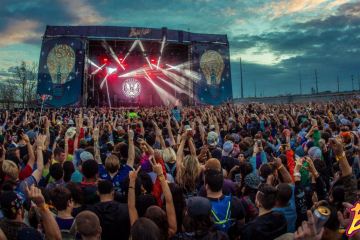 2017’s rosters included D-Block & St-Fe-An, Darren Styles, DJ Isaac, The Prophet in the Basscon stage and Borgore, Joyryde, Space Jesus, Eptic in Bassrush’s arena. We can wait to see what both incredible brands have planned for this year’s massive Project Z at the NOS Events Center. Saturday, July 6th is the day to mark on your calendar. The Project Z Lineup will be revealed within the coming weeks and Project Z Tickets are on sale now. Netsky, Angerfist, D-Block & St-Fe-An, Rusko, B-Front, Radical Redemption would all be dope. I want to see new Basscon artists! Ganja White Night and Dirt Monkey!! Camo and krooked, ganja white night, wasted penguins, gammer, kayzo. Let’s see Virtual Riot, Bassnectar, Datsik, Dion Timmer, and Dirt Monkey. How sick of a lineup would that be? Nu Elementz, Noisia, Evol Intent, Goldie, Heist, Andy C , Virtual Riot, Pendulum, Majistrate, Ronnie Size, Shy Fx, Friction, Bad Company, Commix, BladeRunner, Hype, Hazzard. REZZ and SVDDEN DEATH PLEASE!!! delete and warface!!! thisnisngonna be epic!!! RUSKO GANJA WHITE NIGHT CASPA JANTSEN AND LUZCID!!!!! !